GARFIELD, N.J. -- Garfield police were seeking the public's help finding a robber who forced a convenience store clerk to empty the cash register after claiming to have a gun. The clerk at the Corner Stop at the corner of Jewell Street and Banta Avenue told police the robber "walked into the store and attempted to use the ATM mahine for a short while" around 8:45 p.m. Tuesday, Capt. Raymond Kovach said. He talked with the clerk, "asking if the ATM was working properly," while waiting for other customers to leave, Kovach said. Once they did, he robbed the place, the captain said. The robber made the clerk lie on the floor as he fled with an undetermined amount of cash after heading east on Banta Avenue, he said. The clerk wasn't injured, Kovach said. 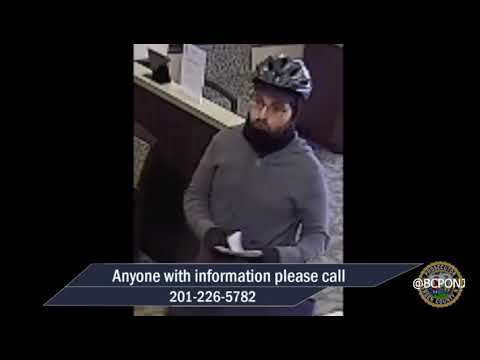 The captain asked that anyone who might have seen anything that could help find the robber call the Garfield Detective Bureau: (973) 478-8500 .